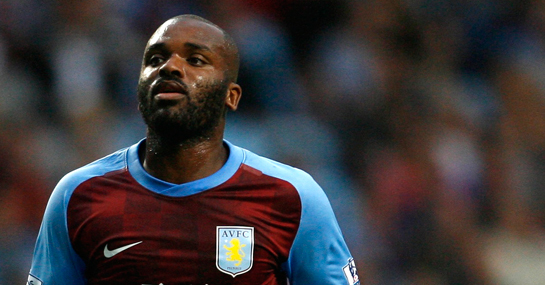 Leaving Darren Bent out of the home clash with Newcastle may seem like suicide to some Aston Villa supporters, but it could prove the best ploy to help the prospects of their overall season. Bent has only managed one goal in Villa’s unbeaten start, in their only Premier League victory over Blackburn, but he has looked off the pace of late. A groin Injury has caused his withdrawal from two England games, while he has needed to pass late fitness tests to start in Villa’s recent draws with Wolves and Everton. However, it is obvious that Bent is not at his sharpest and it is unlikely that the injury will fully clear if he is not sufficiently rested. Bent at his best will score 20 goals this season and if he manages this feat Villa will not only finish in the top half, but would be serious contenders to regain their spot in the top six. However, whether Alex McLeish is bold enough to leave out the star striker, even if for the right reasons, when still desperately trying to prove himself to the Villa fans, is unlikely. The timing of Emile Heskey’s injury is not ideal, while there are doubts as to whether Nathan Delfouneso is ready to play such a leading first-team role. But Gabby Agbonlahor has shown signs that he is back close to his best after being recalled by McLeish. Agbonlahor displayed under Martin O’Neill that he was capable of operating effectively as a loan striker and making this move may allow Barry Bannan a starting berth, something that most Villa fans are crying out for. Meanwhile, Villa fans may also demand more from summer signing Charles N’Zogbia and the enigma that is Stephen Ireland. Whichever team McLeish picks, Aston Villa’s odds are 10/11 to beat Newcastle and leapfrog their opposition in the Premier League standings.